Cycists will take on the steep inclines of Hagg Hill and Stephen Hill on Sunday 11 March as part of the Magnificent Seven challenge. 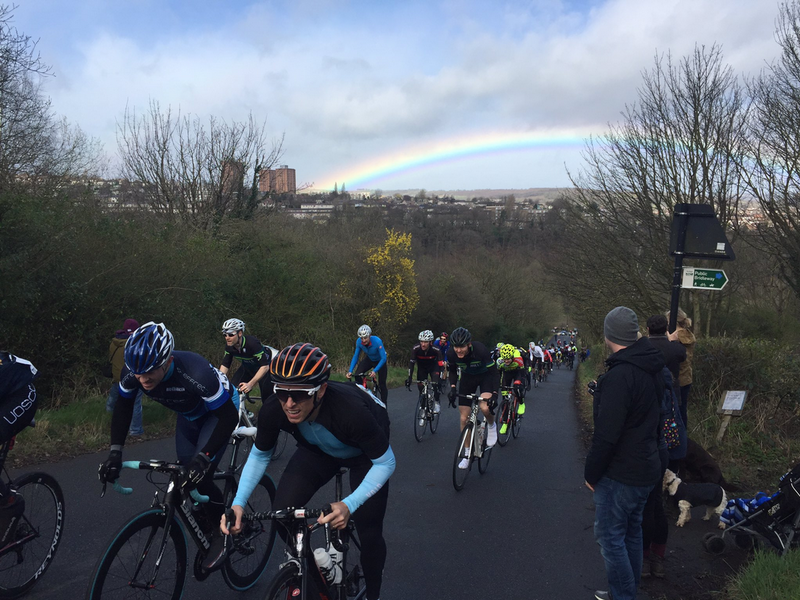 In 2017, competitors were greeted by local residents and a rainbow as they rode up Hagg Hill. The 2018 route, which is just over 26 miles long, presents each rider with over 4,200ft of climbing, with inclines ranging from 9 to 23 per cent. Spectators are welcome. Some roads are expected to be temporarily closed for the event.